Napier Field Patch - Quick & convenient protection whilst shooting, Each sachet contains a full sized Super clean patch impregnated with 2ml of VP90 gun oil - sufficient to clean and rust proof your gun inside and out. 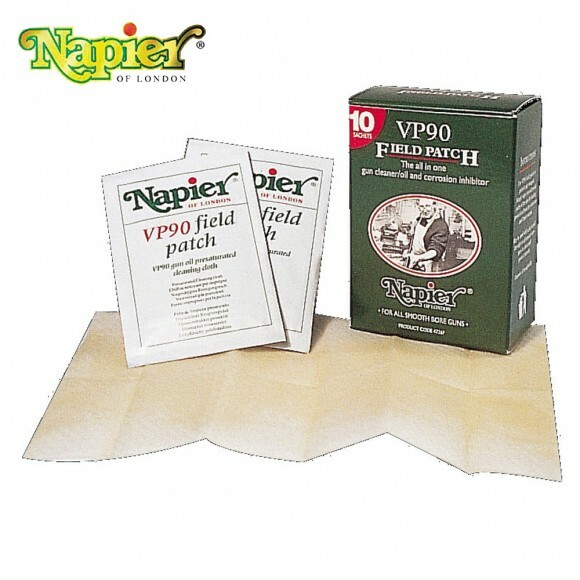 Safe on any gun - Napier gun oil will not effect stock finishes. 10 Field patches per box.